Pasados del Presidio is an annual series of free public events that commemorate the founding of the Presidio. Learn about and celebrate the people of early California through music, ceremony, and hands-on history. 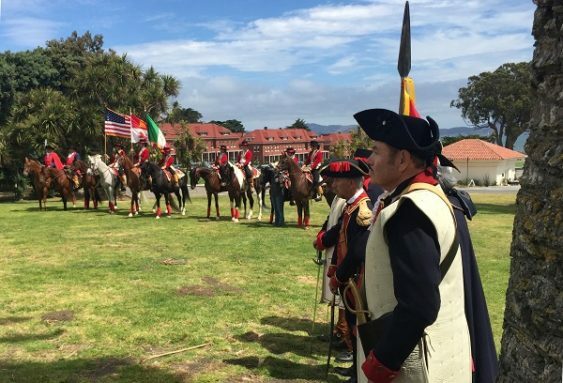 Descendants of the original founding families of the Juan Bautista de Anza Expedition (1775-76) return to the Presidio to recognize the journey of their forefathers and the founding of El Presidio de San Francisco. The program includes formal remarks, a procession by the Amigos de Anza horse mounted riders, and a roll call of the people who made the original 1200+ mile trek from Sonora/Mexico. In 1775-1776, 240 colonists – soldiers, men, women and children – traveled 1,800 miles from present-day Mexico and found the Presidio of San Francisco, bringing with them a new culture and a new era in California history. 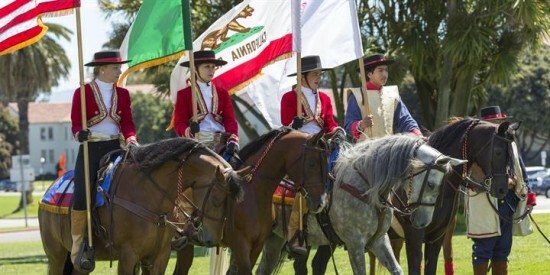 Descendants of the original founding families of the Juan Bautista de Anza Expedition return to the Presidio every June to recognize the amazing journey.